I am not the first person to walk every street in Berkeley. Far from it. Or to notice quirky things in Berkeley. Here are some websites of interest for those who, well, like I said in my third-grade book reports for Mr. Drexel (the younger): “I recommend this book for anybody who likes books.” Kindred spirits all. 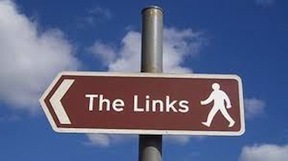 In the spirit of quirk, however, let me start this page of links with a non-link. 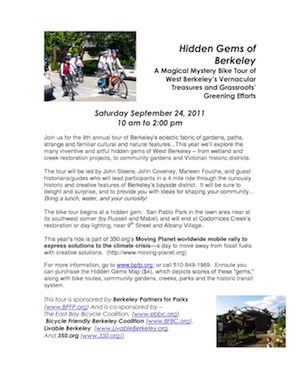 For nine years, several organizations joined in producing a “magical mystery bike tour” of Berkeley’s “Vernacular Treasures and Grassroots Greening Efforts.” It appears that 2011 was the ninth and most recent tour. I find no link to their map of vernacular treasures (strong correlation with what I call quirk), but I have a photocopy of one Hidden Gems map. It was a great effort, and it led me to a few sites I missed. I honor them and their work – Berkeley Partners for Parks, The East Bay Bicycle Coalition, Bicycle Friendly Berkeley Coalition, Livable Berkeley, and 350.0rg. 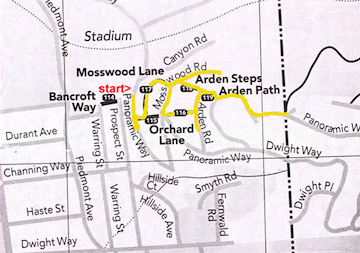 Walking Berkeley: Several years ago, Jen English walked every street in Berkeley and blogged about it. She has more words and less quirk than found here. A great blog from a disciple of the outdoors and walking. 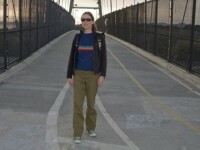 Berkeley Afoot: Keith Skinner writes and walks. He does both well. His is a walking blog, especially walking in Berkeley. 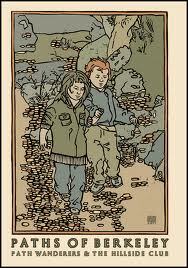 Berkeley Path Wanderers’ Association: The 140, give or take, paths of Berkeley are the essence of quirk. The Path Wanderers hike, map, maintain, and proselytize about the paths. Great website. Great map for sale. A great somewhat eccentric cause. 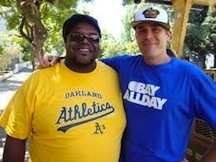 Berkeley Enough: DJ Dave (David Wittman, BHS Class of ’92), and Laecharles Lawrence’s “Berkeley Enough” video is a pitch-perfect celebration of Berkeley culture. Watch it. Now. 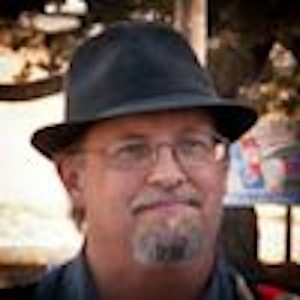 Berkeleyside is our best local blog. Some great features, including a usually quirky photo contest named “Where in Berkeley?” And, starting in 2014, an occasional series of “How Quirky is Berkeley?” postings by yours truly. 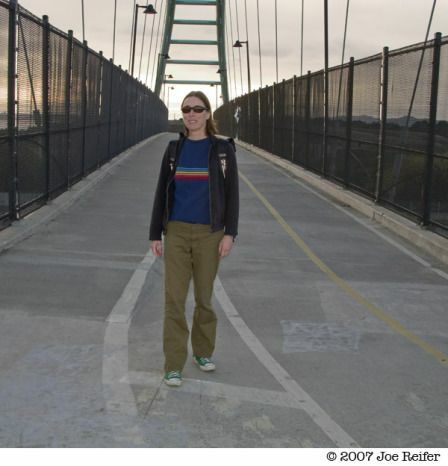 Only in Berkeley: Before the AOL buy-out, Emily Henry created an “Only in Berkeley” feature in the Berkeley Patch. 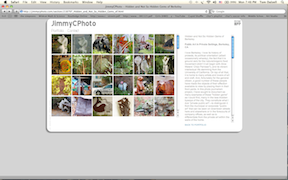 Her archived posts – a photo and a few words – can still be found. Attention may be paid to them. 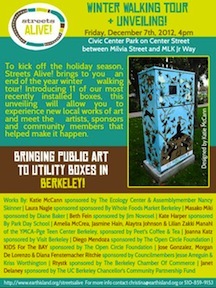 Painted utility boxes: you have seen themaround town. Lots of them. I have not photographed them on account of they are commissioned public art, but they are there and at times quirky. They are a joint venture by the City and Earth Island. You can read about and see them at Earth Island or at this blog about the project. Architectural Heritage Association: I have not figured out what to do here about the wonderful architecture of Berkeley – Maybeck, Morgan, Wurster, Lee, and many more. Fortunately for all of us, BAHA is there. And they have a killer website. Maybe I settle for that? 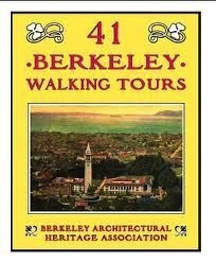 Their 41 Walking Tours is a wonderful guide to walking Berkeley. I say: buy it, walk it, buy more, give them away. “Hidden and Not So Hidden Gems of Berkeley.” Photographer and environmental activist James Corr has a website in which he presents photos of, yes, hidden gems a.k.a. quirky things. Not much information, just great images of public art in private settings. 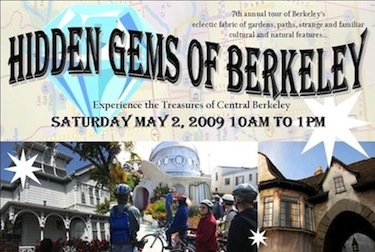 Ron Sipherd’s walking tours of Berkeley: Ron has five great walking tours – beautiful photographs, an itinerary, and a printable map for each. Plus history. Good job! Berkeley Murals: W. Newton’s Flckr page has 115 photos of murals taken between 1986 and 2013. I will cover murals somehow, but these are great photos, and some are of murals long gone. Newton has a page on corner grocery stores, another subject I have collected, and a page on old faded painted signs. Good pages. 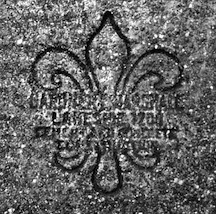 Sidewalk contractor stamps: Among the more esoteric and brilliant collections to be found on the web is this catalog of the sidewalk stamps of Berkeley and Albany, the imprints placed by sidewalk contractors decades ago. Berkeley Historical Society: Not all who enjoy history are quirky, and not all who are quirky like history, but there is enough of an overlap in the two sets to suggest that you take a look at the website. Some great stuff. Decidedly Different Berkeley: Leon Banard’s photographs of quirky things and people in Berkeley. Some overlap between his and this, and some things I don’t have and some things outside my scope. Fun. 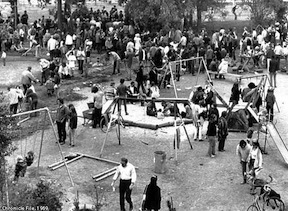 People’s Park is a vital part of our city’s DNA, more the remembrance from 1969 than the reality of today, but the down and out of it adds something today. This official website of the park has both man’s hope and man’s fate, then and now. Bill Irwin’s website is a collection of brilliant photographs from People’s Park, 1969. 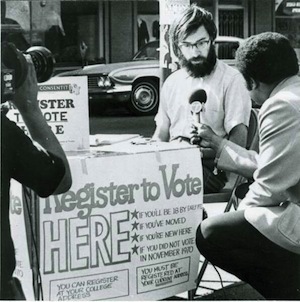 David Mundstock’s History of Progressive Electoral Politics focuses on the social and political history of Berkeley in the 1970s, when the Left morphed from street action to electoral politics. 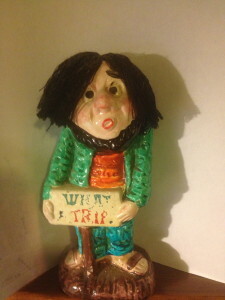 A good site about controversial times in which our quirky ideology shaped our city. Ross Hannon’s collection of highly creative posters for Berkeley musical events demonstrates our love for posters. And music. Of course. 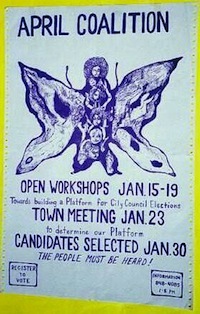 Berkeley Campaign art – the political posters of the 1970s and 1980s – are collected here and are interesting manifestations of our culture and politics. Alameda Info collects photographs and antique postcard images. The sections on Berkeley and the Claremont Hotel are big fun. Berkeley South Asian Radical History Walking Tour: There are walking tours of Berkeley, and then there are walking tours of Berkeley. This site gives us what it says it gives us. I will say no more. Check it out. Alan Cohen’s A History of Berkeley From the Ground Up focuses on the 19th and early 20th centuries. Good essays and a great collection of photographs and postcard images of early Berkeley. Charles Wollenberg’s 2002 manuscript is available online through the auspices of the Berkeley Public Library. It ranges from the early settlers through the 1990s. History!